In 2016, Melinda Rombouts became the first woman founder to be awarded a license to produce cannabis in Canada; female LP founders are still quite rare in the industry. Her migration into growing cannabis seems entirely natural in retrospect. Rombouts came from a South Western Ontario agricultural family, and after graduating from University with a degree in plant biology she spent 15 years as the owner/operator of a large-scale greenhouse flower business. The flower market became challenging around the 2008 recession, so Rombouts decided to focus her business experience and plant expertise on growing cannabis. She had become passionate about the healing powers of the plant after talking with numerous friends who were successfully using it for medical purposes. 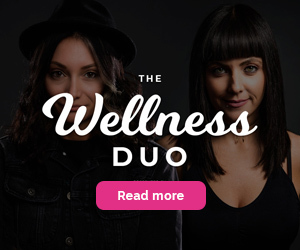 When she pivoted her business and applied to be a licensed producer of cannabis under the brand name Natural Med Co, she had no idea that cannabis would be legalized for recreational use, and that she would be doing anything other than growing medical marijuana. 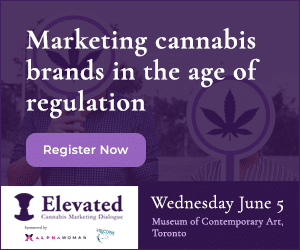 As it became apparent that cannabis would be legalized for recreational purposes, Melinda decided that she would make a bold statement in the industry, and develop a brand for women, by women. 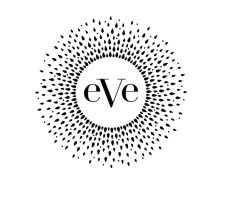 Her marketing team came up with the name Eve, to reflect her position as Canada’s first female licensed producer of cannabis. Today, 75% of the leadership team are women and approximately 65% women in the rest of the company. With only 4% of the Canadian LP’s having a female founder, and only 8% with women on leadership teams, her commitment to forming a team that innately understands the audience for whom they are creating, marketing and selling products is refreshing. 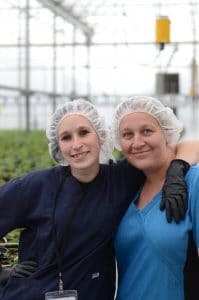 With funding in place to build her new greenhouse and scale to over 1,000,000 square feet of growing space, Rombouts is set to be in the top ten of Canada’s licensed producers – a major achievement that makes her company competitive on a global scale. 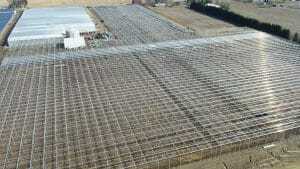 The new greenhouse will provide the first crop of cannabis required to produce the edibles, topicals and infusions that women will be demanding when they become legal in October 2019. At Alpha Woman we’re excited to see what this Boss Lady of Cannabis and her team of Alpha Women will create to better the lives of women around the world. Stay tuned!